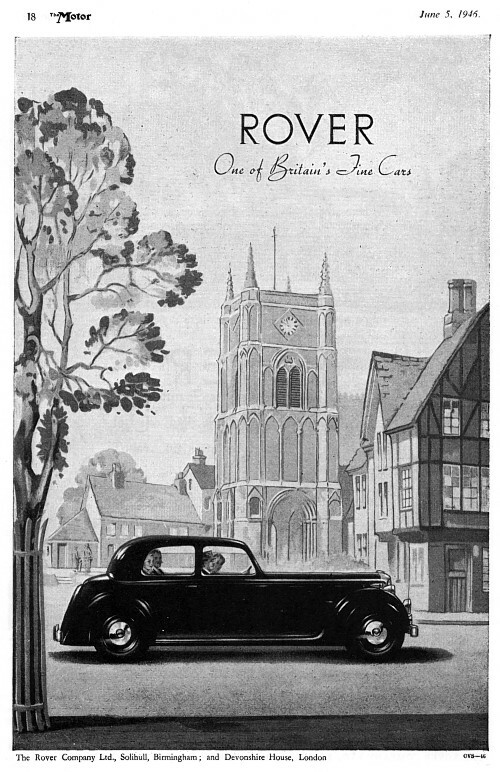 Rover Sports Saloon - July '45 advert. 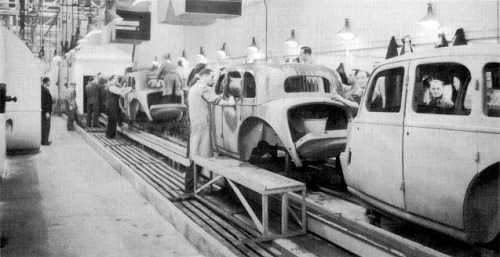 Post war production commenced in October 1945. 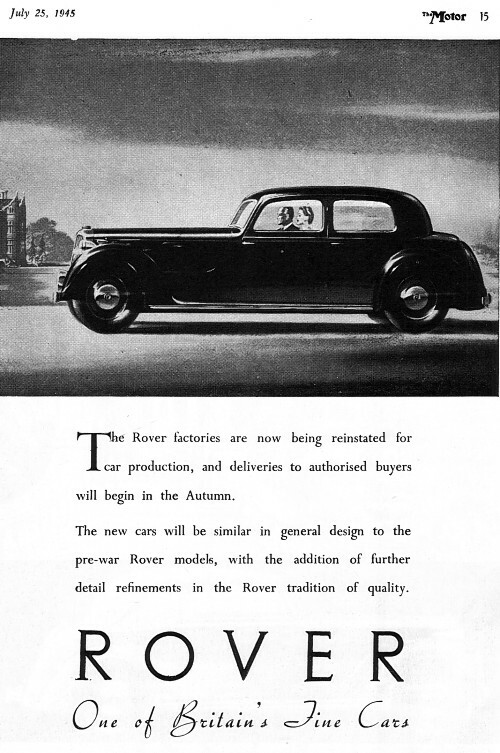 Rover offer Ten, Twelve, Fourteen and Sixteen Saloons. The latter three are also available with Sports Saloon bodywork. This body style is a little less in height and have four side windows instead of six, providing a more lengthy appearance. The Twelve have a 1496-cc OHV Four engine and 9 ft 4 in wheelbase. Rover Fourteen Saloon with six-light bodywork is similar to the Sixteen, the main exception being the cubic capacity of the six-cylinder OHV engines, 1901 and 2174 cc respectively. 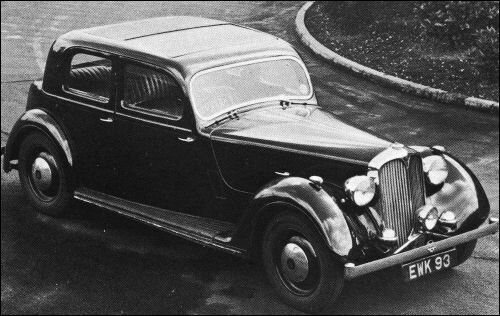 Six-light Saloon cost £812, as four-light Sports Saloon £831. Montaż samochodów w fabryce w Solihull odbywa się ręcznie.